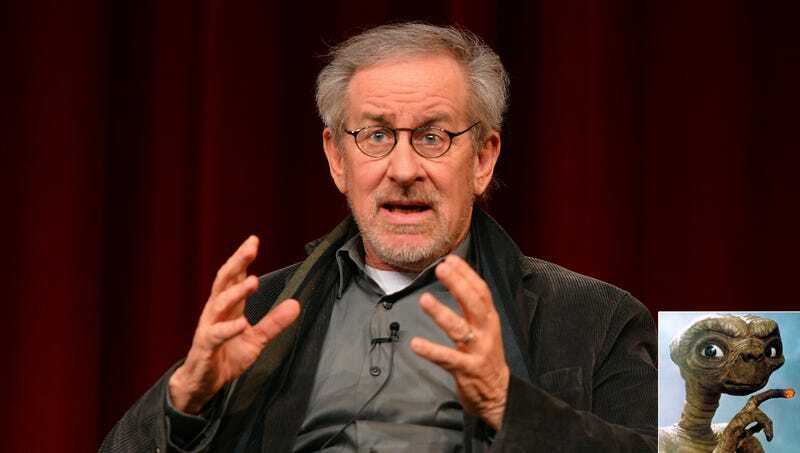 LOS ANGELES—Saying it was by far the most unpleasant directing experience of his career, Steven Spielberg recalled Monday coming to blows with E.T. on the set of the 1982 film E.T. The Extra-Terrestrial. “I know a lot of people love the movie and love E.T., but working with him almost killed me,” said Spielberg, adding that the film’s star was “an absolute nightmare” from the first day of production, refusing to take direction, changing lines at random, and driving several of the movie’s child actors to tears with his unpredictable and often cruel outbursts. “We only mixed it up physically once or twice, but having to deal with his megalomania is the whole reason I’ve only worked with CGI aliens since then. Seriously, the day he finally got back on his spaceship and left Hollywood forever was the happiest of my life.” Spielberg went on to say that, in contrast to his experiences with E.T., he jumped at the chance to film a sequel with the Jurassic Park dinosaurs, with whom he remains close to this day.